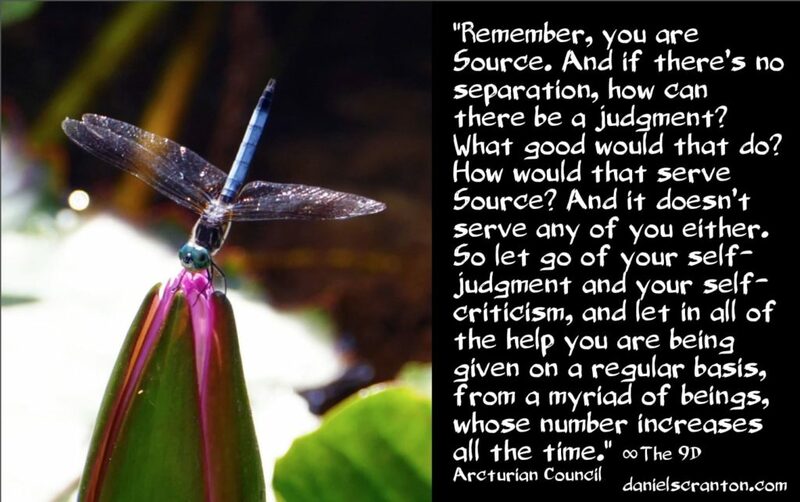 Once you recognize that you have already been visited and you have already been helped, it will be easier for individuals to set aside their fears and their prejudices, and it will be easier for all of you to open your arms, your minds, and your hearts to the other beings who want to connect with you, who want to play with you, and who want to co-create with you. These are experiences that many individuals have been seeking for decades of their lives, and we can see you getting closer and closer to the realization that you have been visited and that you have been helped. You already have scientists who are discovering e.t. DNA within certain sea creatures, and those discoveries will continue. Eventually, the connection between your junk DNA, as they call it, and other beings will be established. 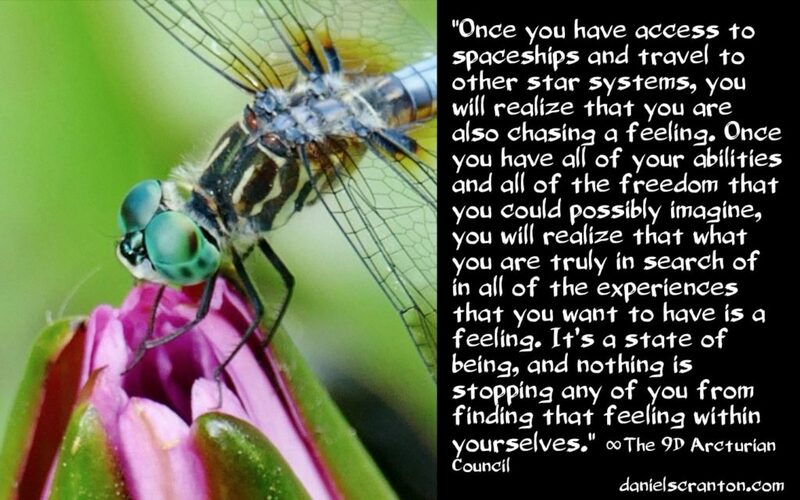 And you will continue to uncover the truth that there is life out there, even in your solar system, and certainly beyond. We know that none of this is news to those of you who are receiving this transmission. 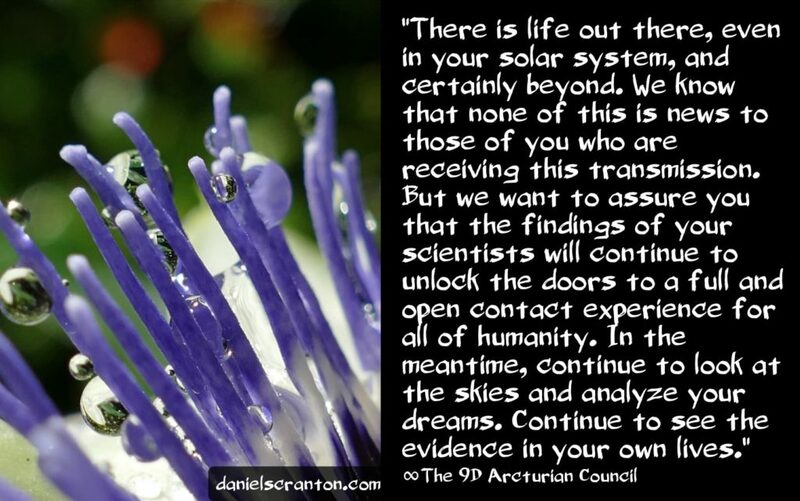 But we want to assure you that the findings of your scientists will continue to unlock the doors to a full and open contact experience for all of humanity. In the meantime, continue to look at the skies and analyze your dreams. 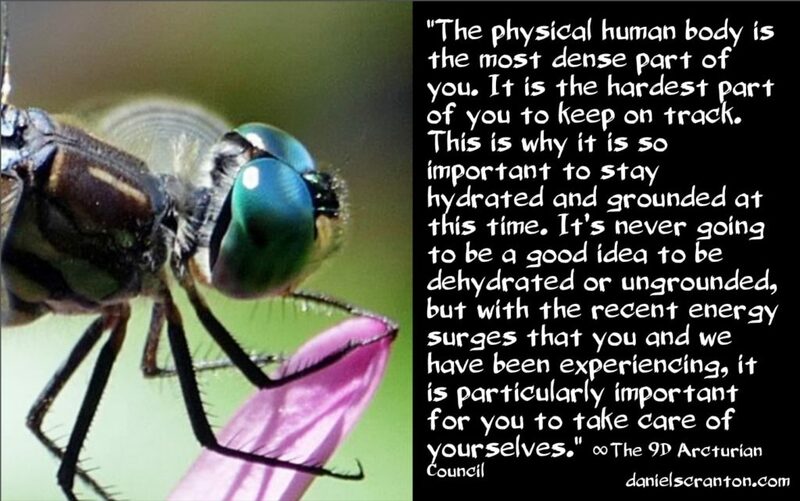 Continue to see the evidence in your own lives of how beings from other parts of the galaxy are affecting you. 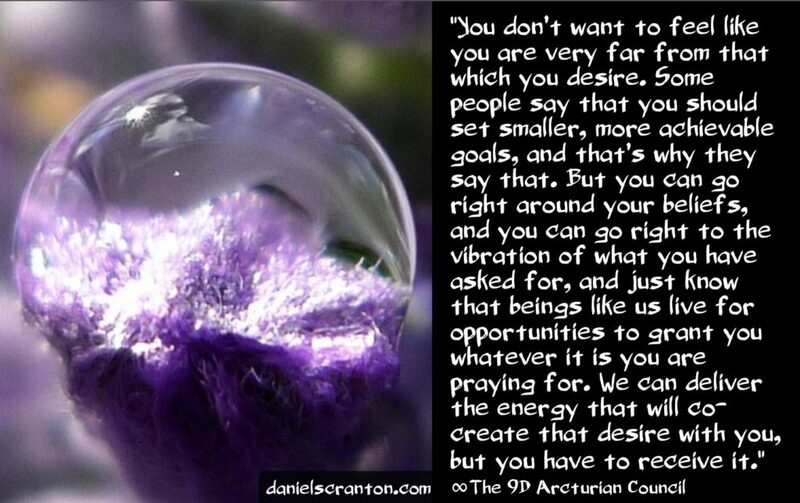 And we would suggest that you focus on the groups that are affecting you in a positive way, because they far outnumber those who seek to control and manipulate you. 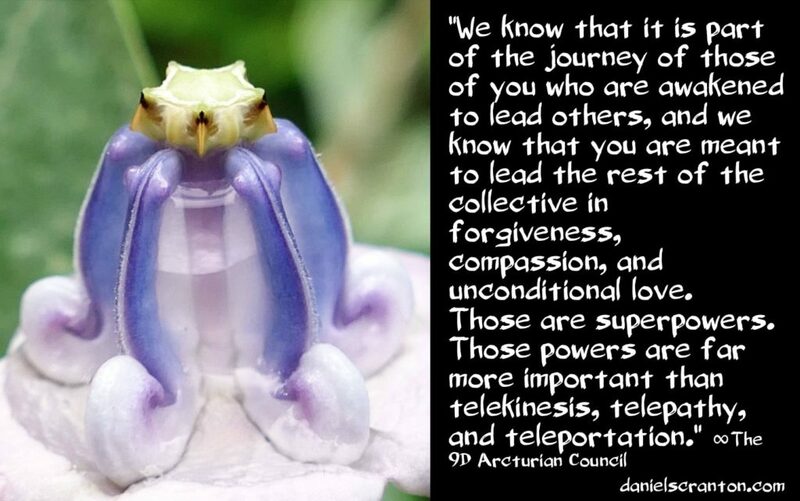 And when you band together with these positively-oriented e.t.s, you are very strong as a galactic collective. As we said in a previous transmission, you are the awakened the collective, and that means you are participating in the shift consciously. It means that you can help others to make sense of what is going on with them. 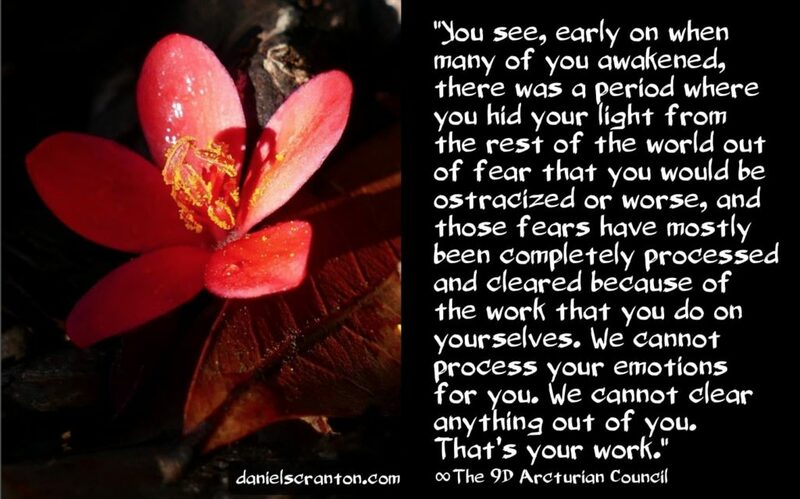 And in so doing, you can help them to awaken. You had your own awakening experience, and now you can be a part of someone else’s, or you can be a part of the awakening experiences of many individuals. And you can share in our excitement for this co-creative endeavor. 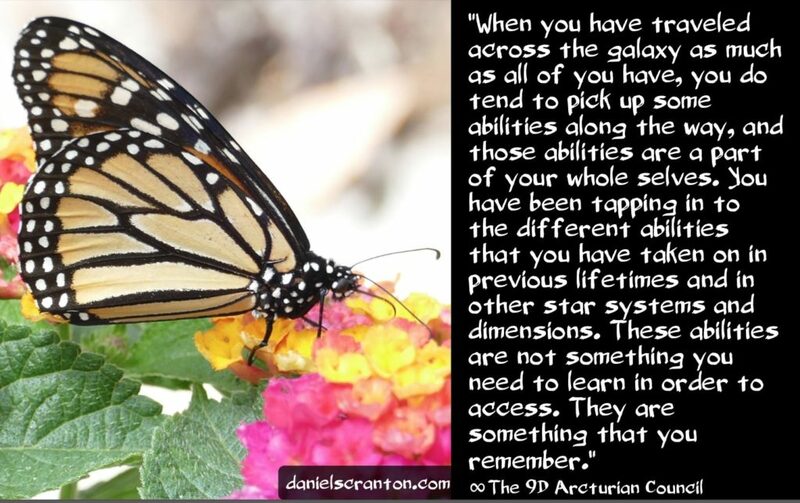 You see, the more of us who are awake and going with the flow of these shifting energies, the easier we make the experience for ourselves and everyone else. Now, there is a very big difference between helping people to make sense of what is going on with them and being some sort of preacher or missionary. You don’t need to be that for the collective. 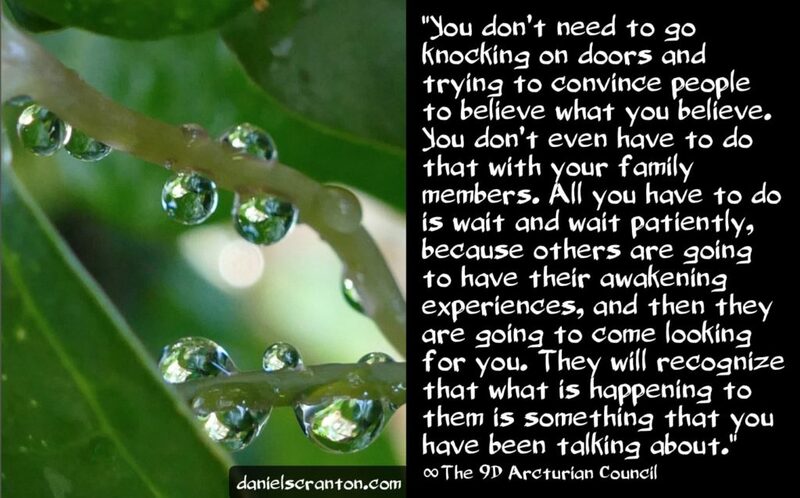 You don’t need to go knocking on doors and trying to convince people to believe what you believe. You don’t even have to do that with your family members. All you have to do is wait and wait patiently, because others are going to have their awakening experiences, and then they are going to come looking for you. 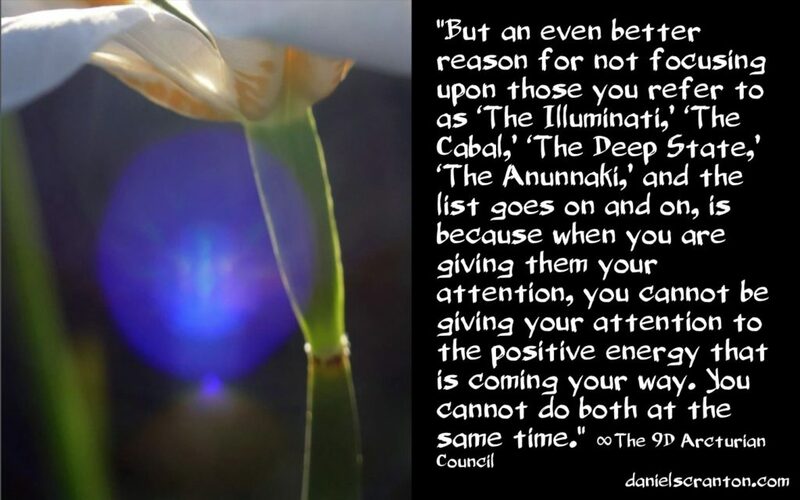 They will recognize that what is happening to them is something that you have been talking about ever since your awakening. Now, as we work with you and help all of you to ascend, we are noticing that there is a greater emphasis on looking within amongst you. We would like to take some of the credit for that, but of course we cannot take all of it. 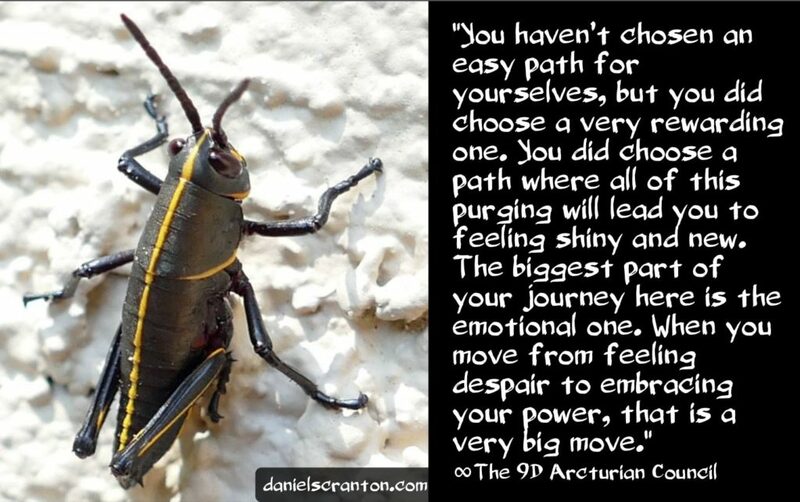 Even though we nudge you to go within from time to time, we know that it is ultimately a choice that you make. And when others awaken and come to you for advice, you will have to give that advice and then once again, let go. You will not want to see the people who come to you for help as your projects, because once again, you don’t want to become that preacher type of person. 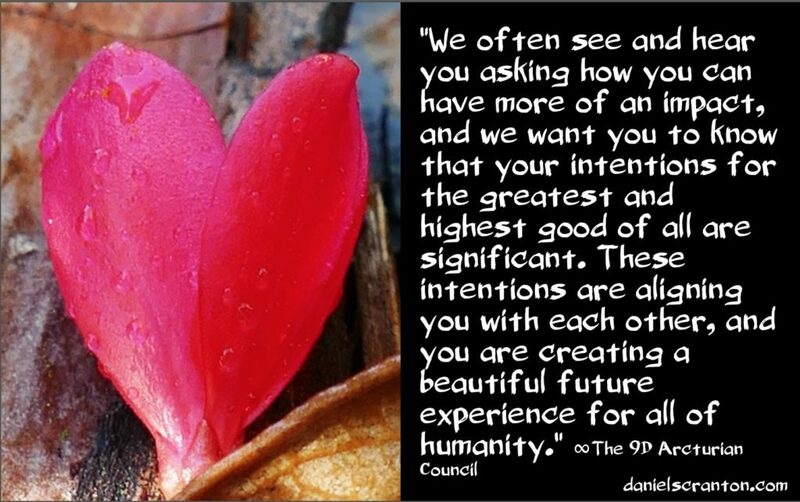 You want to gently help your human brothers and sisters to recognize the truth of who they are, so you will gently nudge them in the direction of going within, rather than feeding them a bunch of information that they may or may not resonate with. At least that is our recommendation to all of you. We have been looking at the different possibilities that are in front of all of you right now, and we can see that there is a great deal of energy being put towards the best possible timeline for humanity. We see you all putting that energy forth for the rest of the collective. And of course, we see others who are very well-meaning with their intentions but not quite ready for their awakening experiences intending for this best possible timeline. This is not even about positive thinking. 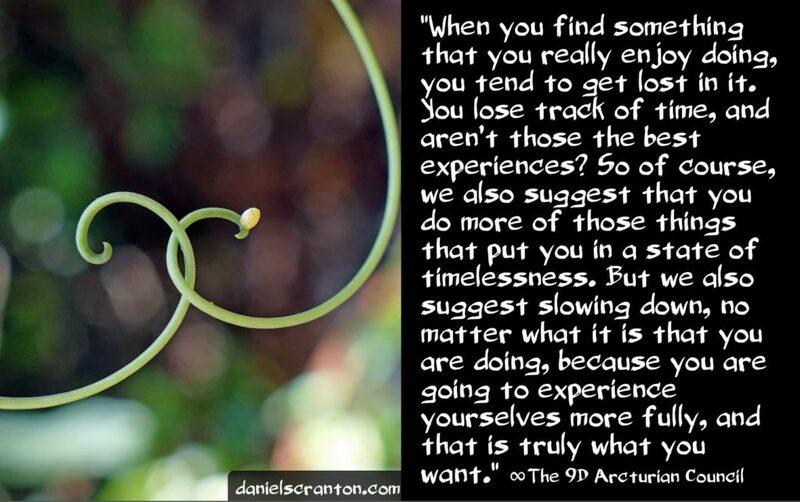 This is more about letting go of limited thinking, limited beliefs, and embracing the power of this time that you are in. 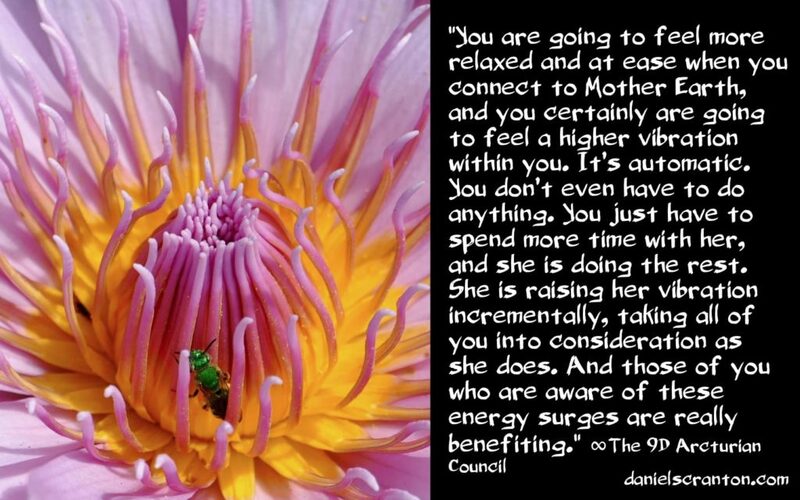 And of course, we also want to see you embracing the power within you as a Source Energy Creator Being. And there is no need for any of you to prove yourselves to anyone or anything outside of you at this point. You’ve all done that before. 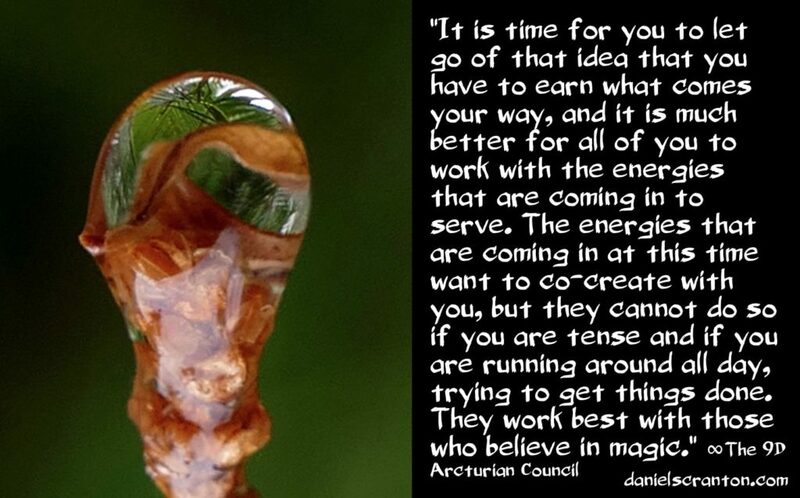 It’s been done to death, and it’s time for a new way of co-creating your reality.